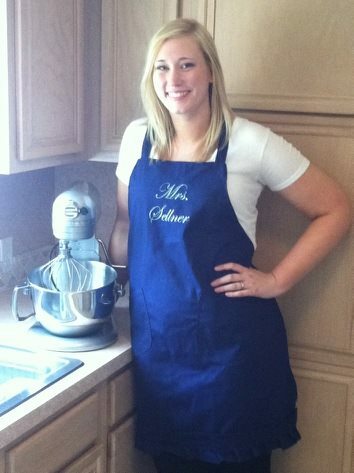 This is a recent custom apron order from a fellow member of TEAM (Together Everyone Achieves More). 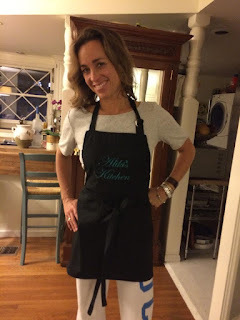 Aliki is modeling her new apron which says, "Aliki's Kitchen." 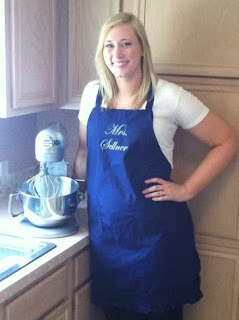 The lettering was done in a teal blue. It is so beautiful and Aliki looks so cute in her new apron. 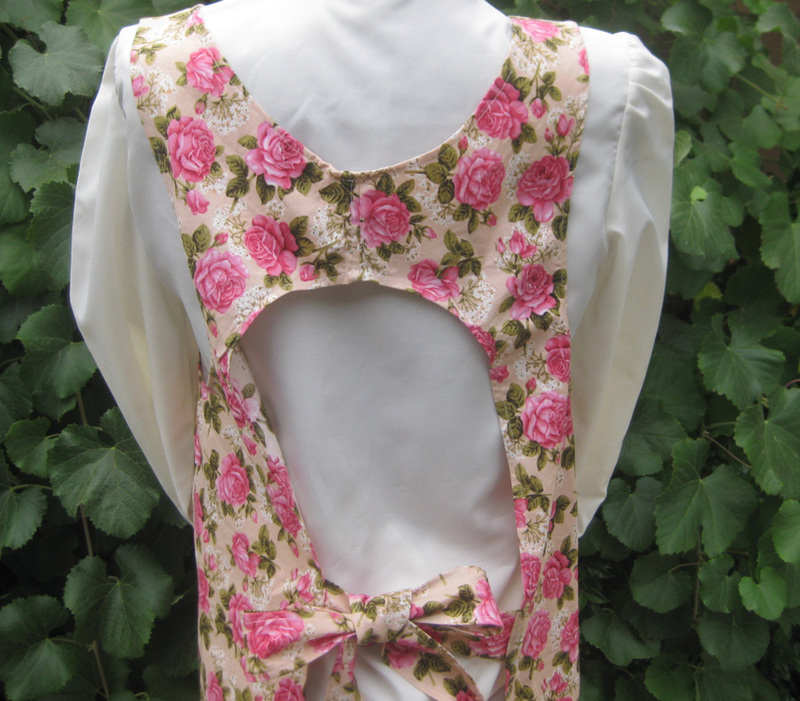 What makes our Amish style canning aprons different from some of the others, is the way that we finish our seams. 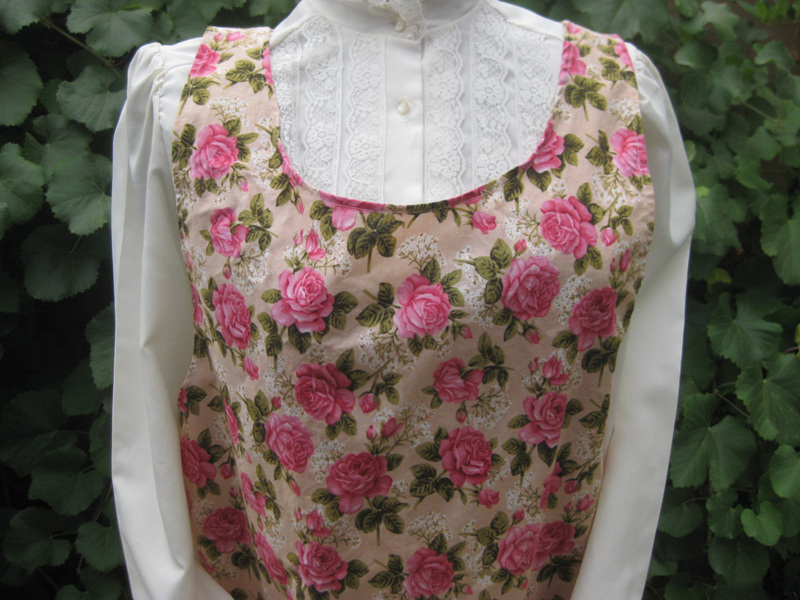 We do not surge seams on any of our aprons. Every apron that is non-reversible has French seams. 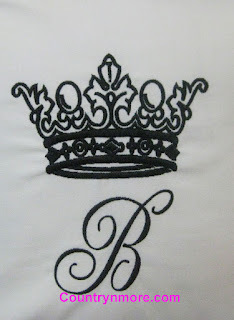 French seams provides a professional quality to inside of the apron. 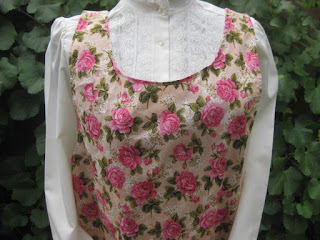 At country n more, we also use vintage laces and trims whenever possible. 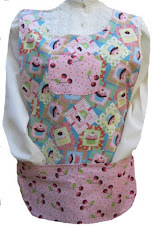 We just love the look that this ads to the apron. 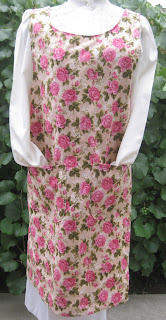 Not only is this sweet rose canning apron is absolutely stunning, it also provides terrific coverage. 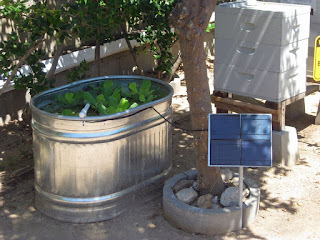 Well, our oldest son finished his solar pump for the pond. I must say that I am completely impressed how he went from concept to the finished project. In hindsight, I should have documented his progress. 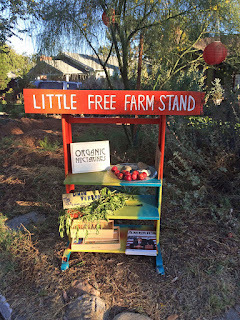 While out walking with my neighbor, we spotted this cute fruit stand. 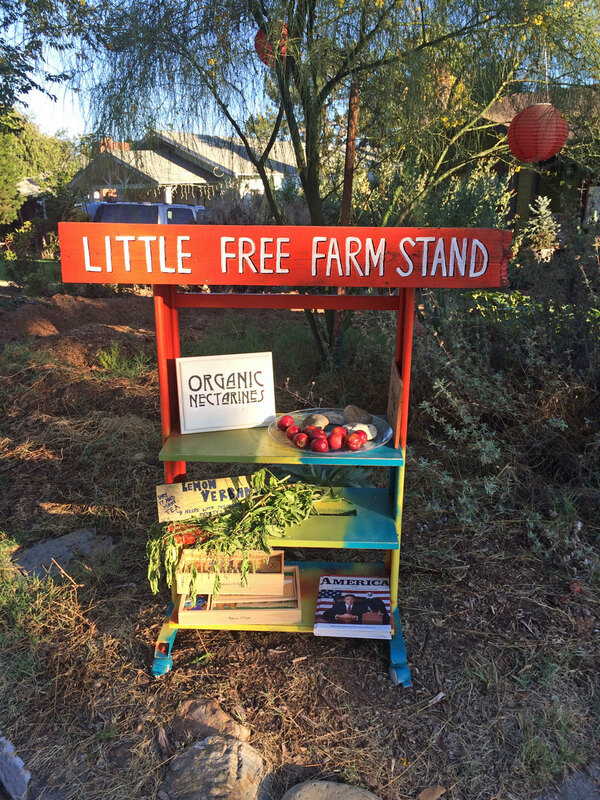 It is unusual to find someone with a little fruit stand giving away free organic fruit or veggies. 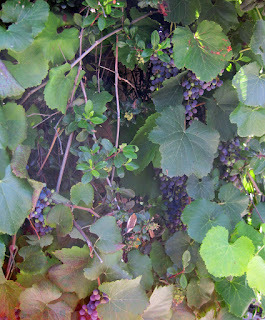 It is almost that time of year again, when the grapes will be ready for harvesting. 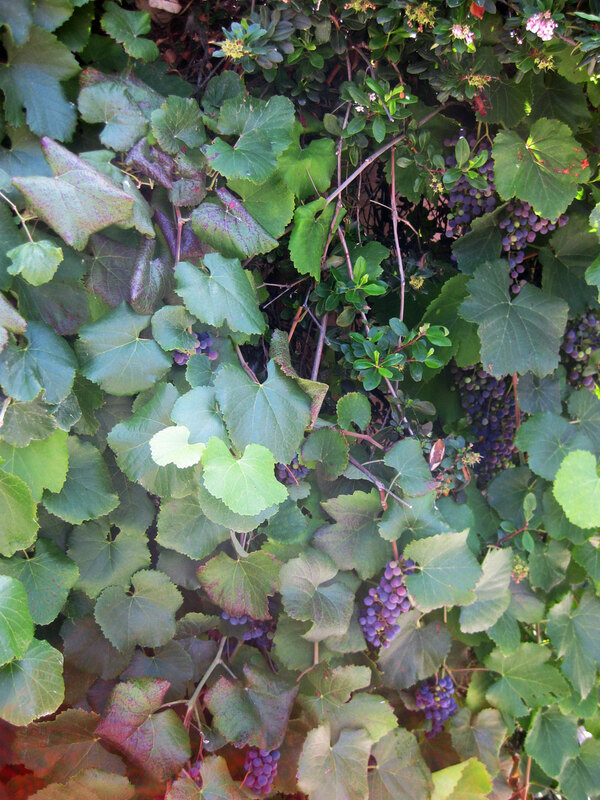 We planted 3 plants years ago and they produce a large amount of tiny grapes. 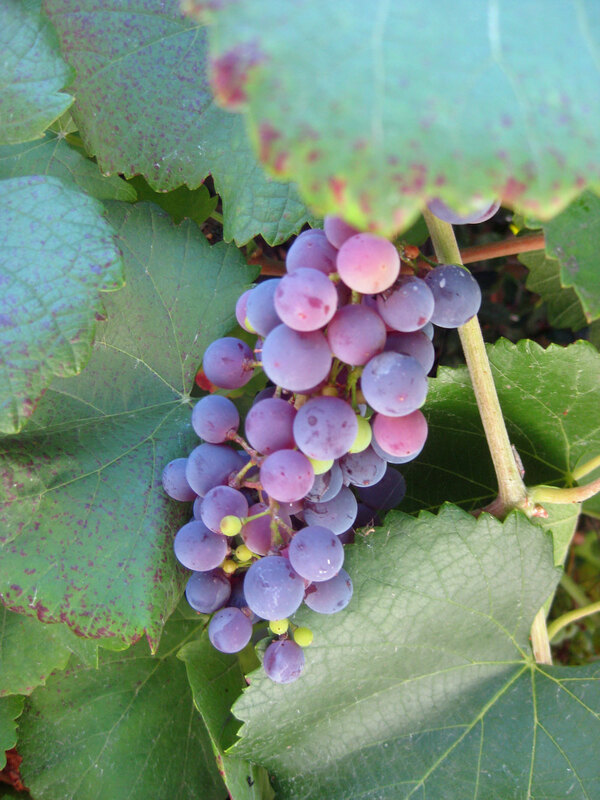 Since these grapes have seeds, we generally juice the grapes in our juice extractor. The grape juice is nice and sweet and it is refreshing in the mornings. 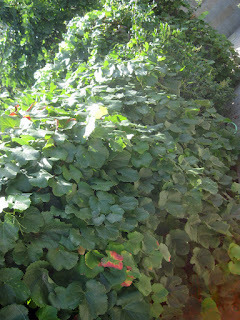 We also make a lot of grape jelly. It will probably be another 3 weeks when the grapes are ready to be harvested. 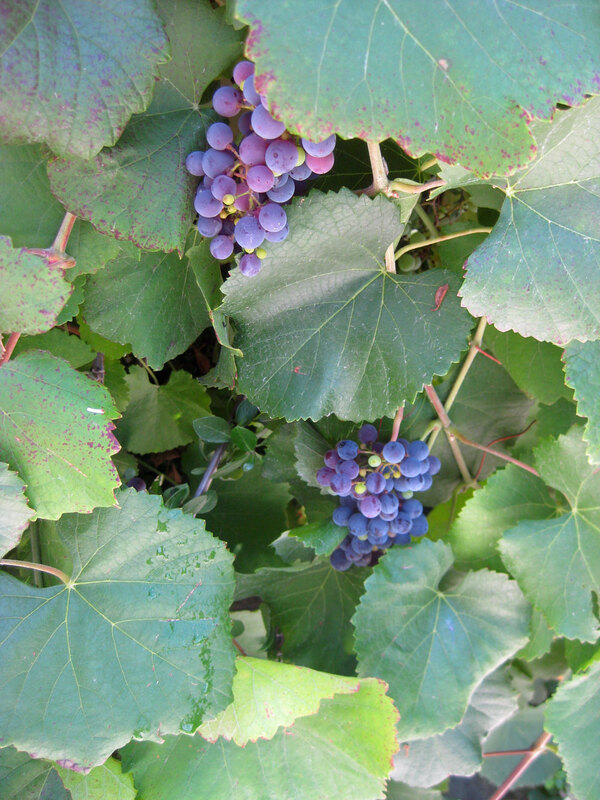 They are ripening up nicely, but they are not quite ready. You can see last year's harvest on my blog. We have had a beehive in our back yard for years. 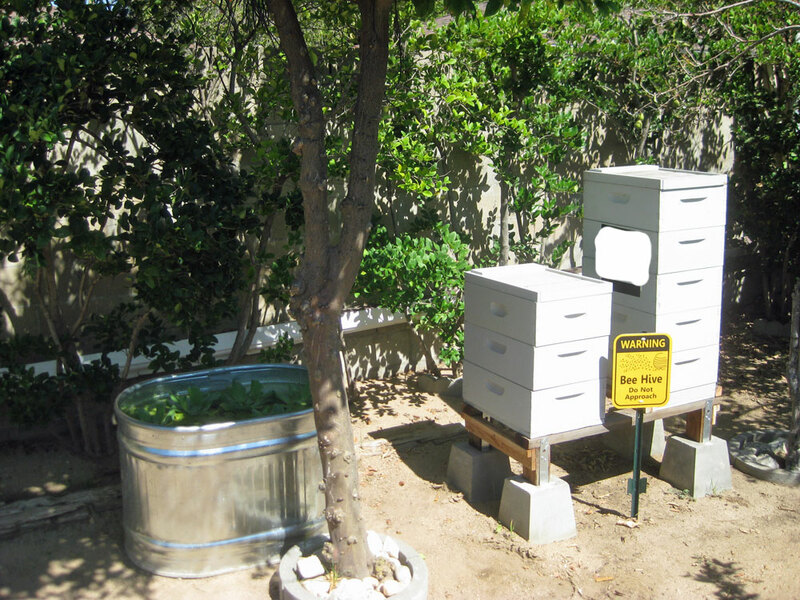 Our oldest son has been wanting a fish pond that would also serve as a water source for our bees. 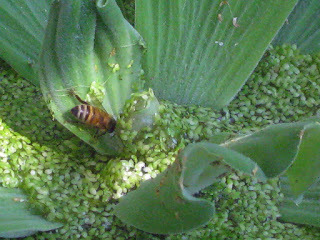 This summer, we finally bit the bullet and the bees are loving it. The bees land on the small pond plants and the duck weed. 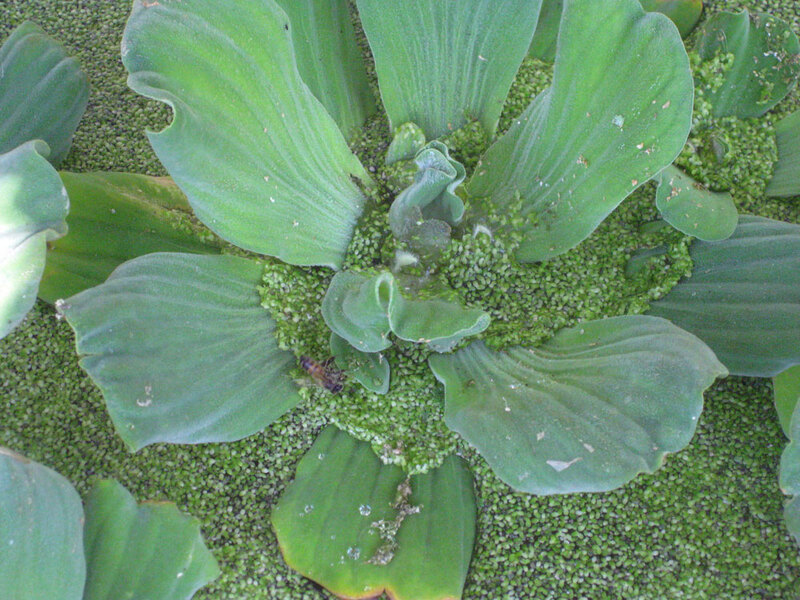 If you are planning on a pond and want to use duck weed, please be advised that duck weed multiplies quickly. The duck weed is a great food source for the fish in the pond. 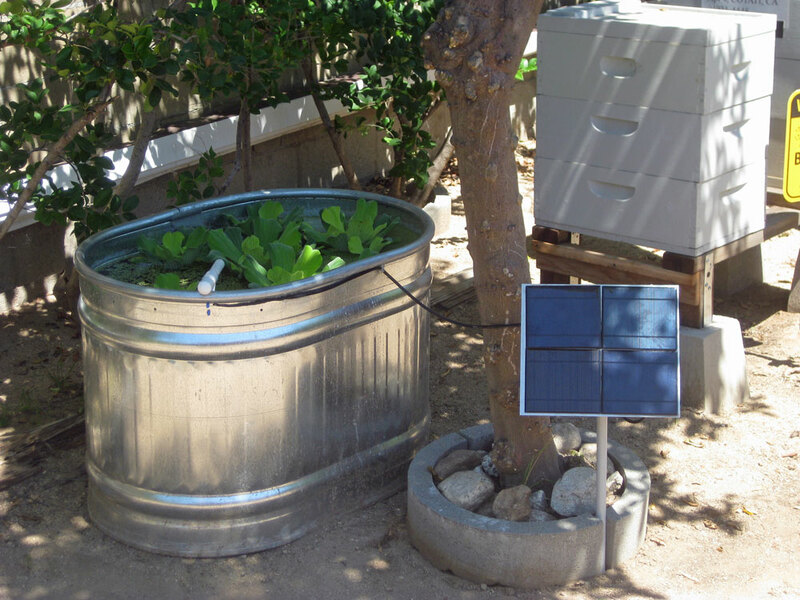 My son is working on a solar powered pump for the pond. This will be covered in another post. We used a 2 feet x 2 feet x 3 feet, 71 gallon galvanized round end tank. A note for anyone thinking of using the galvanized tank. Be sure to test for leaks. Our tank arrived with a dented bottom. It was tightly packed and the tank is very heavy. This is probably why it was dented during the shipping process. The tank leaked, which our son used a product called Bentonite Clay. The clay comes in a powder form. You simply mix the clay with water and mold it to the inside of the tank. 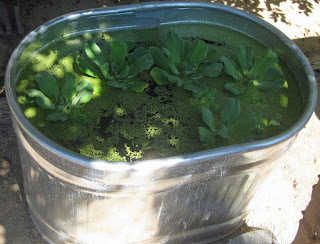 This product is safe to use in ponds and it was successful for solving our leaking problem. 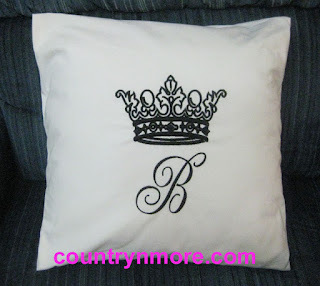 This custom embroidered pillow cover turned out gorgeous. 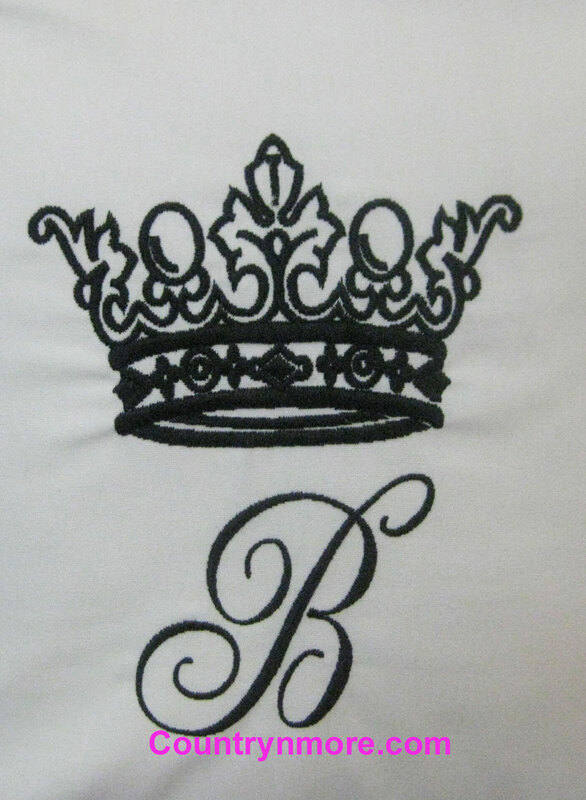 The customer wanted me to embroider a crown with the letter B below the crown. This is a 16 inch throw pillow, which is for a gift. I posted on a previous topic about the Bride Apron. The customer ordered a custom embroidered apron for "Anna's Husband." Once again, I couldn't post it on the blog until after the shower. 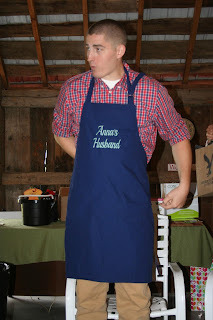 The customer told me that the groom-to-be wore his new apron with pride. 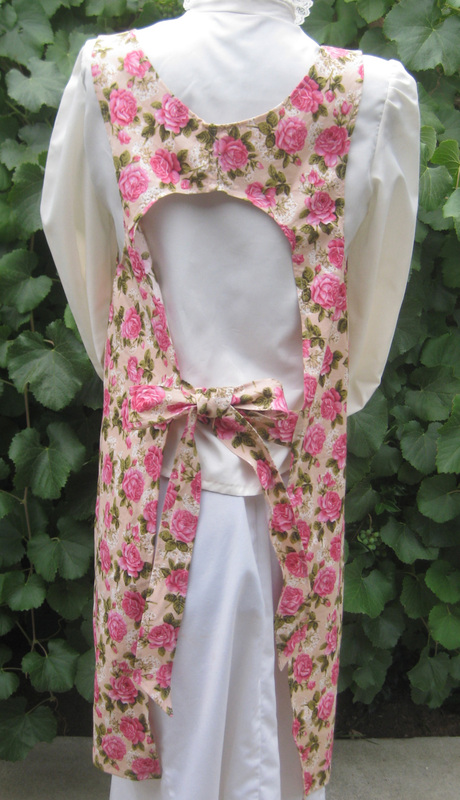 I made the neck strap adjustable, since he is a tall young man.